In this book I have assembled articles of mine previously published in various magazines but which do not fall conveniently into the three main categories of either clockmaking, the repair of mechanical clocks or the making of horological tools. The chapters include the construction of a large working model of the recoil escapement. This is really a lecture model and it can be adjusted to simulate excessive drops on both the entry and exit pallets. A discourse on workshop photography is also included. 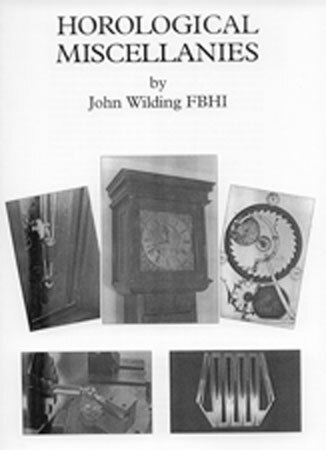 Other chapters describe automatic winding for a 30 hour longcase clock and modifications to a Congreve Clock. This is one of the Classic clock designs which failed to run properly in its original state. Two descriptions, one of a year going longcase clock and the other of the Revd. Ludlum's perpetual datework are also included. A recent addition to this manual is a description of the construction of Mr. Bazeley's 'rotating pendulum clock'. This is a mystery clock and fascinating to watch. A full set of drawings are provided for construction of this timepiece. Also included is a chapter on servicing a Metronome. 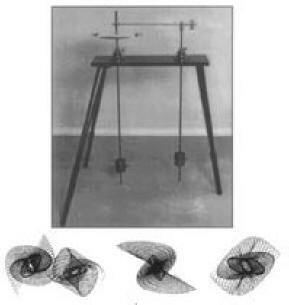 The latest edition to this book is a chapter on the construction of a HARMONOGRAPH. This fascinating scientific toy gives endless amusement to young and old alike. The complete set of drawings are included in the book and the construction is not difficult. The pendulums are supported on a trestle type of stand but an alternative mounting is described in the text. The particular model shown on the cover of the book was made by the author some thirty years ago. A sample of patterns produced by this machine are also illustrated here. This book has 65 pages and is fully illustrated.